During the winter of 1935/36, two special Rhönsperbers were designed and built in the Rhönsperber workshop of Charles Schweyer AG in Ludwigshafen under the direction of Hans Jacobs, the Sperber Junior and the Sperber Senior. The Sperber Junior, factory number 41/25,. 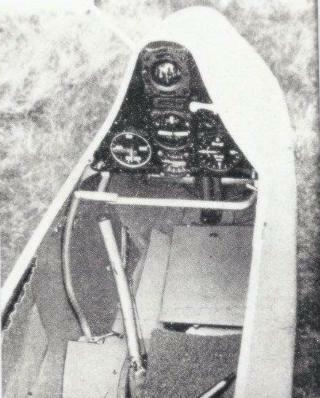 was designed to fit Hanna Reitsch “like a glove” and even though Hanna was not very large, she felt cramped in Its narrow cockpit. Certainly, no one else could fit into it. Sitting in the cockpit, she said it made her feel “as if the wings grew from my shoulders” and that she felt as one with the aircraft. 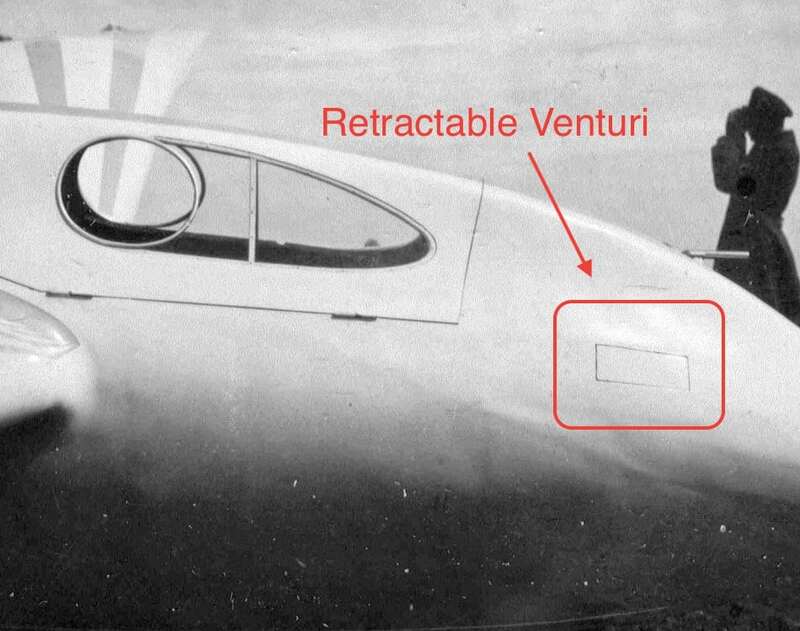 A series of questions were to be studied on the size of the wing gull break, fuselage wing transition, rudder effectiveness etc., and were to be later used in new redesigns at the DFS. The Sperber Junior was the first glider to be equipped with DSF air brakes and the structure of this glider was based on the Rhönsperber with the span increased. It used the same Gottingen 535 wing profile for improved performance. 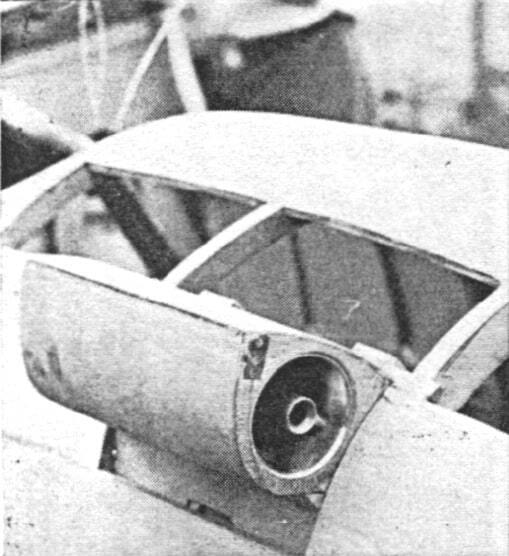 The overall appearance of the fuselage strongly resembled Groenhoff’s Fafnir with its totally wood enclosed cockpit canopy cover giving no forward visibility except what could be seen through the side ‘port hole’ openings. 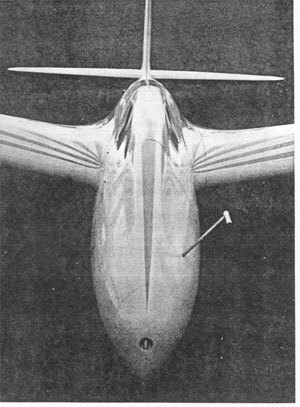 Unlike the Fafnir, the Junior windows were glazed with Cellon plastic windows.The rudder was given a generous size to give the glider greater stability, particularly in turns, which was to be later proven in early test flights. 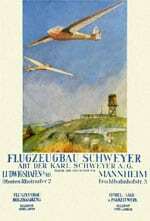 The first serious competition for the Junior was the 1936 Rhön competition where it was entered under competition number 61. 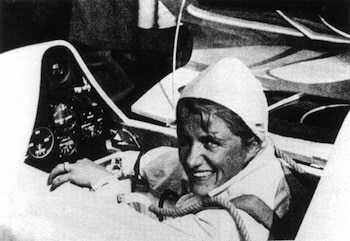 Hanna Reitsch flew the most accumulated distances of 821.5 km in “D-Sperber Junior”, the registration of the glider and finished 4th overall in the competition against such famous pilots as Peter Riedel. 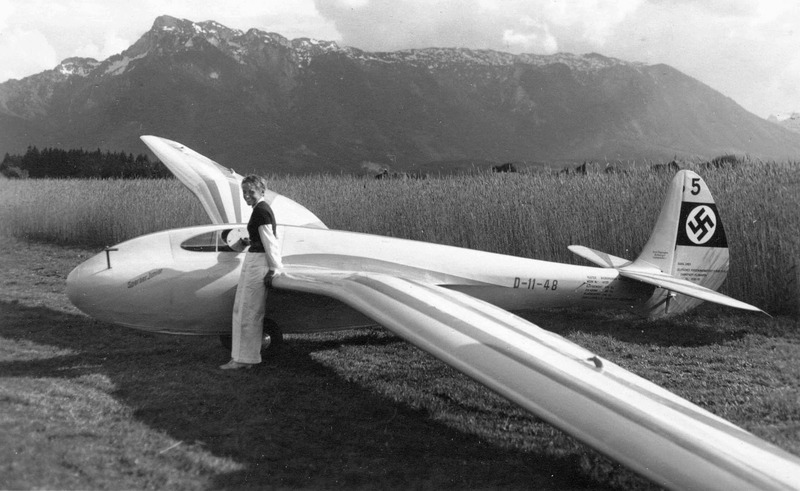 Hanna Reitsch brought the aircraft to the ISTUS International Meeting at Salzburg in March 1937 where it sported its new registartion of D-11-48 and competiton Number 5. Here she accomplished a remarkable trans-Alpine flight to Italy, reaching 13,000 ft from an initial 500 meter altitude aerotow. Almost overcome by cold, she flew on, marvelling at the splendour of ‘the Alps. Her route was finally barred by rain and she was forced to land on a football pitch next to military barracks In a small village. At the last moment, she saw trees surrounding the field obstructing her approach and she resigned herself to trying to steer the fuselage between two trees, leaving the wings behind, but a miracle happened when a sudden up draught lifted the aircraft just before arriving at the trees. The Sperber Junior grazed their tops and landed harmlessly in the field. Hanna was so cold that she could neither speak nor move. Italian soldiers helped her out and carried the Sperber Junior on their shoulders in triumph to their barracks. A Bird Soars Over the Alps. 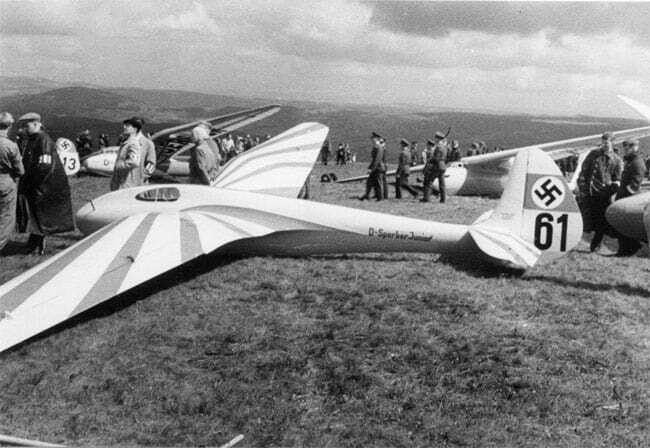 In MAY, 1937, there were newspaper headlines: “GERMAN PILOTS’ TRIUMPHANT SUCCESS—5 GERMANS FIRST EVER TO CROSS ALPS BY SAILPLANE”; and I was one of them. 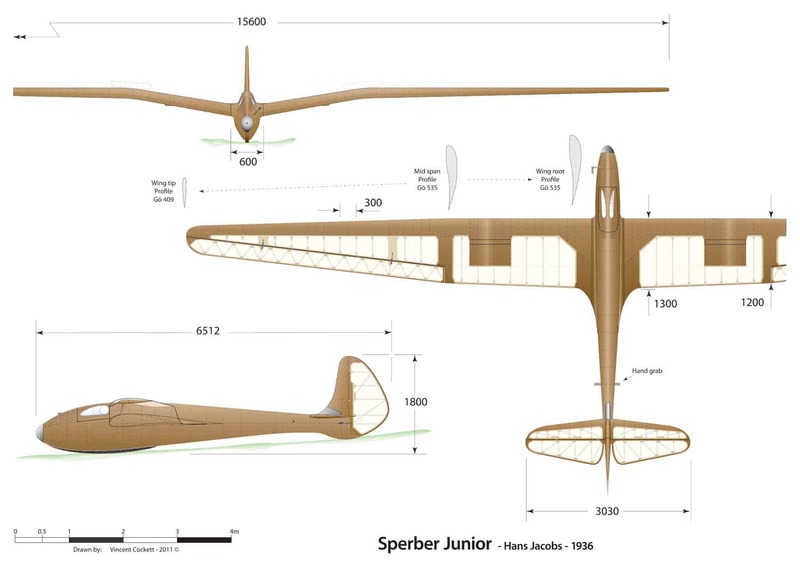 My plane was a Sperber Junior, constructed, or rather “tailored” by Hans Jacobs to fit me exactly, and so exactly, that once in the pilot’s seat even I could hardly move, while only I could get into it at all. So much did I feel a part of the plane, that the wings seemed to grow out of my shoulders. 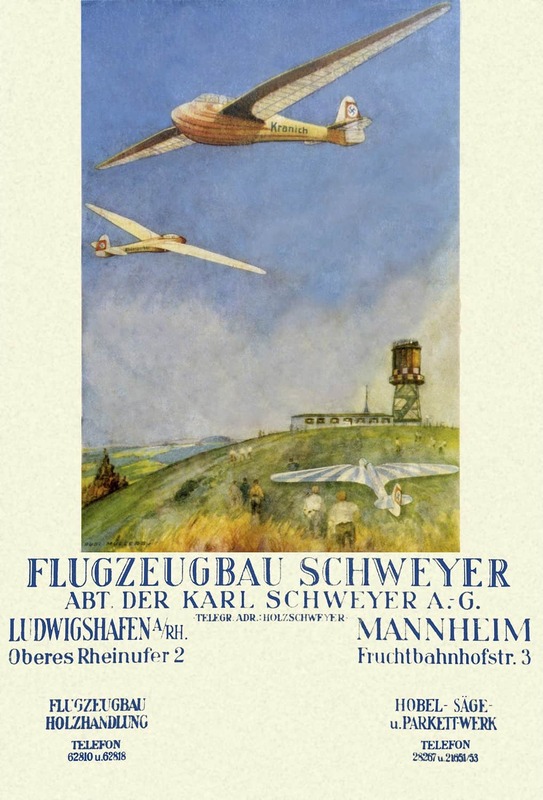 In Salzburg, that month, the International Study Commission for Motorless Flight was sitting under the chairmanship of Professor Georgii and, coinciding with it, a meeting of international glider pilots was to be held. 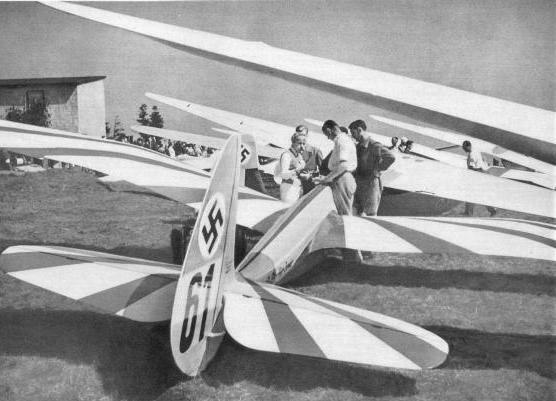 For the latter, a series of competitions had been arranged, point-to-point flights, cross-country flights and altitude flights, during the course of which we were to penetrate as far as we could into the area of the High Alps. For this purpose, we were issued with emergency rations, very rockets, trilling whistles and,in fact, everything that might be required in the event of an emergency landing in the mountains. The competitions began in the best of weather. The sun burned down from a deep blue sky, warming the foothills and the lower slopes of the mountains, while the up-currents were made visible to us by the delicate veils which were forming over the highest peaks and ridges into little white balls of cloud. There was practically no wind and conditions were thus ideal for our first flight into the mountains. My turn to take off from the airfield at Salzburg came at about ten in the morning. Competitors had to cast off the tow at 1,500 feet and as soon as I had done so, I headed along the eastern slopes of the Untersberg as the side which would have caught most warmth from the sun. At first, I encountered nothing but down-wind and I kept the airfield in view so that, if need be, I could glide down to land. I was just about to turn back when I noticed the plane begin to quiver slightly, the Rate-of-Glimb Indicator rising a fraction over zero to between four and eight inches a second. Circling so as not to lose the slight up-current, I then began to climb faster, i£ feet, 3 feet, 4! feet per second. Above me, a cloud was forming rapidly, seeming, as it extended, to draw me up towards it. I circled higher and higher until, at about 6,000 feet, I reached the lower edge of the cloud. The Untersberg now lay below me and, seeing a cloud beginning to form at its western edge, I flew along the ridge towards it. 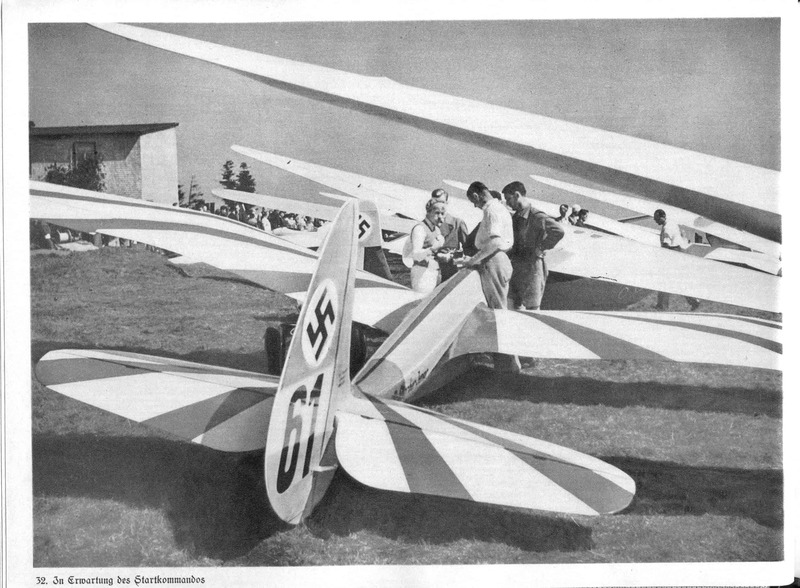 None of the other competitors who had started before me was visible and I assumed that they had returned to the airfield at Salzburg. It was still comparatively early and, the up-currents being weak and difficult to find, I was quite content to feel my way forward above the peaks, circling beneath small shreds of cloud and having a good look round. The Alps, as seen from above, were new to me and the sight was indeed different from the fixed panorama of peaks to which the mountaineer is accustomed. To the airman, they seem to be in continual movement, alternately inviting and menacing as they open up, then close in again as the contrast of light and shadow shifts across them. At times, they seem even to change places with one another. From 6,000 feet, I could see deep into the mountains. In the distance, the Grossglockner and the Grossvenediger were shimmering amid the eternal snow, while the valleys beneath me lay steaming, the mists smeared across their wooded slopes. To the South, ahead of me, the snow-capped peak of the Watzmann glittered in lonely beauty and eastwards, the Konigssee, like an emerald cushioned in silken mist. Meanwhile, above the Watzmann, a large, inviting cloud was forming. Could I reach the up-currents beneath it? I flew towards it along the ridge of the Lattengebirge, but hardly had I left the ridge, when I once more struck a downwind. I started to fall, 12, 15, 18 feet per second and, in my concern, felt tempted to explore to right and left in search of buoyancy. But I knew that there was only one thing to do: aim straight for the nearest peak. My proud altitude had been quickly lost and I was already under three thousand feet. The Konigssee with the surrounding woods and villages came up to meet me: now I was on a level with the tree-line at the foot of the Watzmann. This was the crucial moment. Should I give up and try to land on a meadow somewhere? Suddenly, the plane lifted, gently, at first, then faster and faster. I went on rising steeply in tight turns, clinging so close to the mountain slope that my wings almost brushed the trees. We were saved—and my bird seemed to rejoice with me. I soared on in the same up-current which widened out as I gained height so that I could describe a larger circumference. The plane sailed close past the hut near the peak of the Watzmann and I could see figures waving up at the noiseless bird as, borne on the invisible air, it soared away, dwindling into the lonely spaces. Must they not have found it a strange and moving sight——? Now I am level with the peak of the Watzmann and continue circling higher. The cloud-base stretches along the mountain ridge. 8,300 feet—8,400—8,700—9,000 feet! Now the first cloud wisps are curling round me. But the up-current is losing strength—the cloud is not going to draw me to its centre. I have time to look round. The Watzmann gleams and shines below me. From here, though it is no longer visible, I could easily head North and glide right down to the airfield at Salzburg. But now that the great glacier regions are beckoning, I have no thought of turning back. There is one steep obstacle yet to cross, the mountain chain called the Sea of Stone. But hardly is the Watzmann behind me than I begin to drop fast at twelve to fifteen feet per second. The down-wind is unrelenting: every second heightens the suspense. Pride in my hard-won height collapses as I sink now below the ridge of the Sea of Stone and see the great rock faces rear up closer and closer. And still my bird goes nosing down towards those scarred and wind-grieved crags, that massy, lowering, finality of rock. Is this, then, to be the end,-a cry, a crackle of sticks ? As the fear is scorching in my throat, I see, less than thirty yards away, a pair of jackdaws hovering against the mountain- side. I fly close up to them, so close, I almost brush the wall of rock with my wing. Now, I, too, can feel the lift and very cautiously I begin to circle, like the birds, ready at any moment to sheer off in a steep turn if the wind carries me too close in. I keep my eye on them, for they are better at this than I and are already above me. I follow in their wake, noticing that the lift is stronger near the places where the clefts in the rock run vertically. After circling laboriously for half an hour, I soared at last over the glittering, snow-capped ridge of the Sea of Stone. I had lost sight of my two friends, for now a marvellous panorama was unfolded—peak after mountain peak, mantled in snow and ice, the Hohe Tauern, the Zillertaler, the Otztaler Alps. To the South, below me, lay the valley of the Salzach and close at hand, gleaming in awesome majesty, the Grossglockner itself. I flew on from cloud to cloud, exploring the up-wind to its highest limits and reaching, over the peak of the Hochkonig, a height of 10,500 feet. Heading, then, for the Hohe Tauern, I glided over the Pinzgau and a small bank of cloud helped me to regain the height I had lost. When I came out of the cloud, the altimeter showed 13,000 feet. My eyes recorded that fact, then turned to the scene below. Robed as for an eternal festival, the whole mountain world lay about me in a dazzling garment of white, studded with the jewels of the glaciers, burning with blue-green fire. All was silent, timeless and at peace and as I watched, mortality, it seemed, fell from me, all mean and fretful thoughts dissolved and suddenly I was a child again, folding my hands in wonder and weeping to see the Glory of God. In my emotion, I had forgotten all about the competition in which I was taking part and failed, too, to notice that without gloves and in my thin, white trousers, I was freezing with cold. Now, as I awoke from my dream, I could feel my teeth chattering while my hands and feet were so painful that I had difficulty in using them. But now that the hardest part of the flight was behind me, I was not going to be defeated by the cold. So I turned my nose to the South again, where stretched the jagged peaks and terrifying spear points of the Dolomites as though waiting to impale me. I had never dreamed that my first flight would take me as far as this and my air map did not go beyond the southern portions of the Grossglockner, but, in any case, my fingers were now too stiff to hold it. So I flew on, taking what advantage I could of the narrow up-currents over the Dolomites. To the South-West, the blue-green streaks of the glaciers gleamed on the slopes of the Marmolata, but from sheer cold I was hardly able to appreciate their beauty. A fast-moving blanket of cloud was coming up from the South-East, threatening to cut me off from the earth. The valley of the Piave now opened before me and I began to glide down the stony course of the riverbed, flanked on either side by innumerable fields fringed with olive trees. It would be no pleasure, I felt, to attempt a landing there. As I begin rapidly to lose height, the cloud spreads out a wall of rain, cutting off my route to the South, and the drops start to hammer on my wings. The valley is narrowing continually and as the river bed does not invite a landing, I turn back and head for the village over which I have last flown. As I approach, I see to my terror that there is not a single stretch of grass where I can land. But among the houses, I recognise a barrack square. Three sides are enclosed by buildings and the fourth opens on to an adjoining football ground. This will have to do. I glide down and am just about to fly over a row of poplars marking the edge of the field when I am suddenly caught in an air pocket and thrust down below the tops of the trees. The plane seems already lost and all I can do is to try and save myself. I put the stick down till I am just skimming the ground and aim for the gap between two trees. Perhaps, at the speed I am flying, the wings of the plane will be broken clean off by the tree trunks, leaving the fuselage to slide along the ground by itself. Then, with only a few yards to go, I suddenly strike an up-gust. In a flash, I pull back the stick—the plane rears up, brushing the tips of the poplars—then pancakes heavily, but still intact, on to the ground—and I sit there, benumbed— and thankful. Some time must have elapsed before a jangle of voices and running feet brought languid life to my brain. They were Italian soldiers—I could not speak for cold, could not move—but they lifted me out—then they carried my plane to barracks, in triumph, on their shoulders. I was in Pieve di Cadore, and Salzburg lay over a hundred miles away, on the other side of the Alps.